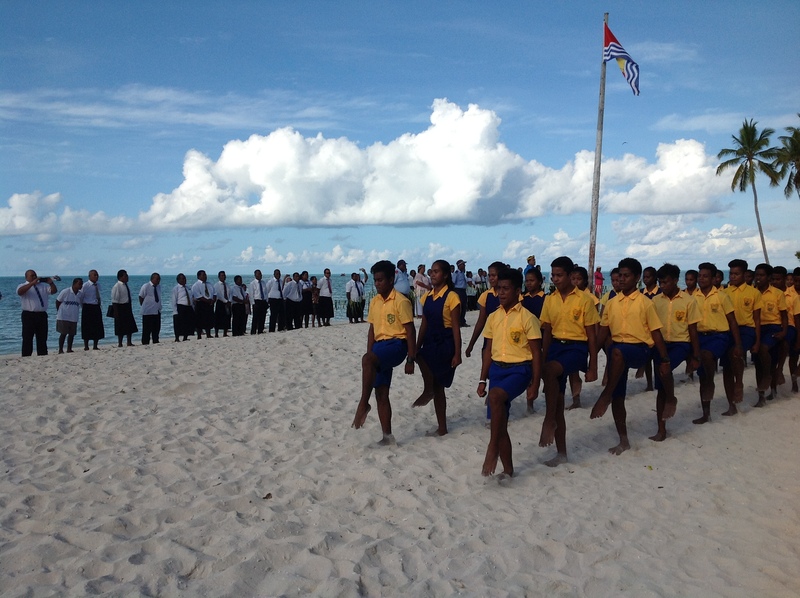 Buariki village is the venue for the 4th Mayors General Meeting’s (MGM4) opening programme. Buariki village is an important historical village where many of the Kiribati legends are set, including the sacred shrine for Beia-ma-Tekaai. 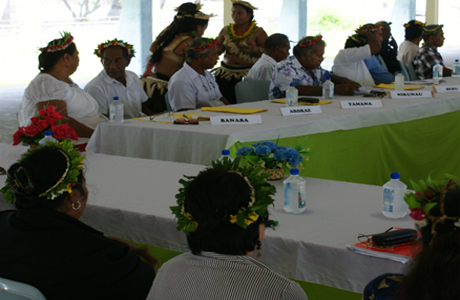 The fourth Kiribati Mayors General Meeting, or MGM4, was for the first time, hosted in a rural area council, Eutan Tarawa Council of North Tarawa. 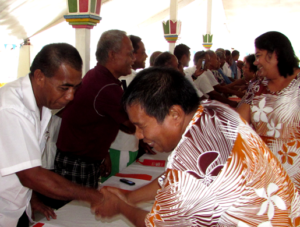 This was the decision of the third MGM, held in USP, Teaoraereke in 2016, on the proposal by the Mayor, Harry Tekaiti. It was Thursday, 14 June, 2018, when all Mayors went to North Tarawa, the host for the MGM4. The one-hour lagoon crossing from the Parliament wharf in Ambo was blessed with a very calm sea, as if the Mayors were welcomed also by Bakoa, the supreme god of the sea. 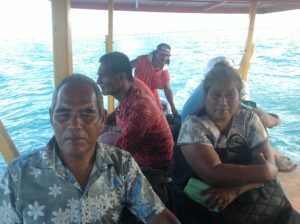 All 23 Mayors were on the wa-uoua, including the three Mayors from the Line Islands, who had just arrived that morning from Kiritimati, via a night’s transit in Nadi, Fiji. 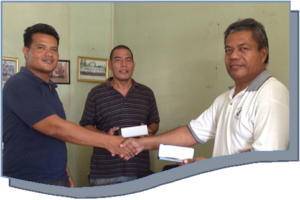 13 June, KiLGA Office – The Mayor from Tamana, Eken Taumauri, visited KiLGA to seek technical assistance regarding the formulation of his Councils’ Strategic Plan and policies. The Mayor reported that some new national laws have influenced the establishment of the Task Forces. For example, prior to the passing of the Minimum Wages Act, the Tamana Council had paid out low salaries to its employees, which would now be considered below the minimum wage. Without adequate financial resources to provide immediate assistance to the Councils, KiLGA will raise funds so that these genuine challenges and initiatives by Councils like Tamana’s, can be supported. 8 June – The KiLGA’s Local Government Toolkit, produced to provide information, advice and relevant tools for Mayors and Councillors, is still in its final draft form. However, the National Anti-Corruption committee has agreed that it should be utilized to promote anti-corruption practices in Councils. A new section to focus on anti-corruption will be included in the toolkit. The toolkit was developed with assistance from UNDP in 2015 and has undergone trialing and consultation in some Councils and with some Council leaders. A draft copy of the newly-developed anti-corruption section has been submitted to the Public Service Integrity and Corruption Control Unit, for their inputs. Participants of the Stakeholders Consultation, in a roundtable discussion; Andrew Antenucchi is the bearded man at right. 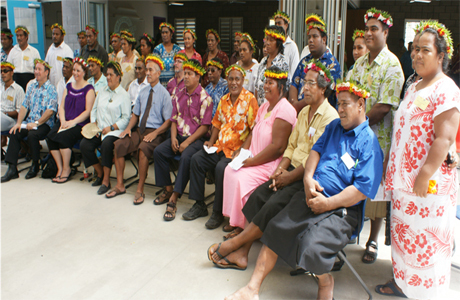 June 2, 2017, TUC Boardroom – Representatives from Teinainano Urban Council’s key stakeholders turned up in force to a consultation held at the Council’s HQs in Teaoraereke, to review its past Strategic Plan (2012-2016) and identify priority areas for its new one for 2017-2020. There were representatives from the major churches like SDA and LDS, government ministries, international NGOs, like the Red Cross as well as village communities. The consultation involved a practical session on the PESTEL Analysis (Political, Economic, Social, Technological, Environmental and Legal) and the selection of priorities for the new Strategic Plan. These include ‘Improve transport services’, ‘Facilitate improvements to water supply’, ‘Promote an upgrade of sanitation infrastructure and services’, ‘Develop youth capacity’, ‘Support the fishing industry’ and ‘Strengthen pre-school education’. The consultation was coordinated by Andrew Antenucchi, the AVI TA, working at the TUC. A veteran local government officer, Teewa Tonaeka, has been appointed Director of the Local Government Division of MIA in June, 2017. Teewa Tonaeka was educated at KGV&EBS and the University of the South Pacific in Fiji. He started his work at the Ministry of Home Affairs and Decentralisation (now MIA) as Treasurer. Later he moved up to become Council Clerk, working in various Councils until he was transferred to the Ministry Headquarters to work as Local Government Auditor. He was later appointed to the position of Senior Local Government Auditor, the position he held for many years, until his current appointment as Head of the Local Government Division. 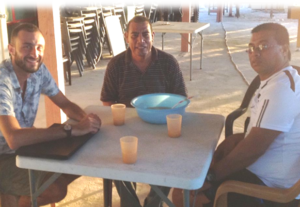 12 June, 2017, Taborio – A report by Andrew Antenucchi, AVI Technical Assistant who was tasked to undertake an organization review of TUC with focus on the staff capacity, revealed that there is a lot that needs to be done to improve the way the Council is structured and to make the staff more competent and fruitful in their assigned tasks. 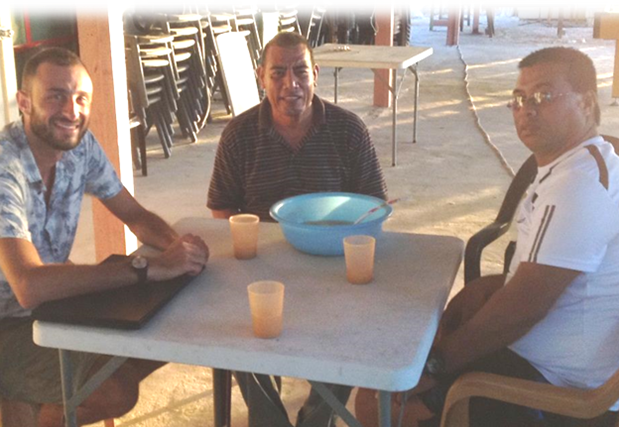 The KiLGA’s Executive Board (EB) Meeting was attended by all members, except Mayor Bakaia Kiabo from Kiritimati. These were Mayors Taoaba Kaiea (Chairman), Tauia V. Taoaba (Deputy Chairman), Tebabura Tanaua, Teepa Manaia, Tabukirake Baraniko and Mote Terukaio. 1. 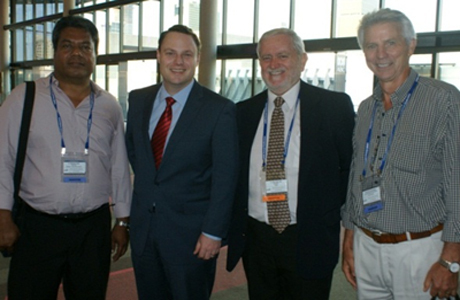 Sub-lease for KiLGA’s Office in Bairiki – A cabinet paper seeking the sublease will be submitted to the new Minister. This was endorsed by the EB. 2. 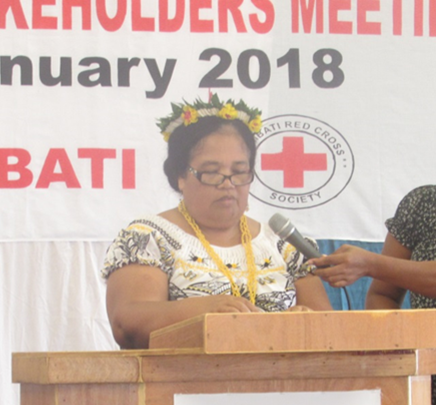 Training for Deputy Clerks – The EB was advised that MIA has received UNDP funding for government-seconded staff stationed at the Councils, and there are plans to allocate some for the Council staffs’ training. KiLGA had earlier obtained the EB’s approval to focus training for 2017 on Deputy Clerks, Carpenters, Financial staff and Guesthouse Caretakers. 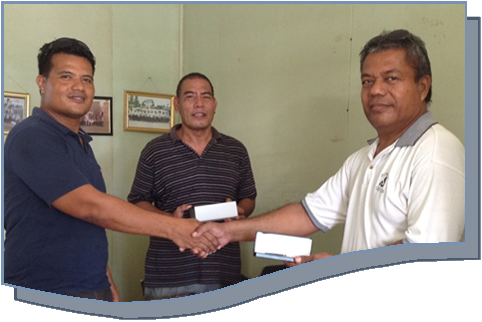 Tuesday, 13 June, 2017, KiLGA’s Office – The Manager of Island Stationeries, Burentoun, had a meeting with Cllr: Romano Reo, (volunteer Technical Assistant to KiLGA), when they discussed how the two organisations can work together to supply Councils with their stationery and office supplies orders. The company is happy to offer good deals to KiLGA for stationery, office equipment and other requirements and orders from the Councils and to use the freight levy facility to deliver the items to the Councils timely and at no cost, where possible. The Executive Board has been briefed on this and advised that the Procurement Act should be used to guide the arrangements with Island Stationery and other suppliers. Burentoun of ‘Island Stationery’, (left), shaking hands with Romano Reo.